A decision to award a line ball to Cratloe midway through the first half was the major talking point at the end of this senior hurling championship tie at Cusack Park on Saturday evening. Damian Browne’s sideline cut caused problems for the Tubber defence and Cathal McInerney crashed the ball into the net for what proved to be a crucial score. The decision incensed Tubber mentor Tommy Donoghue who was sent to the stand for the remainder of the game by match official Johnnie Healy from Killaloe. Cratloe mentor Mike O’Gorman, who was also sent to the stand after he complained about a decision, joined him 10 minutes from the end. 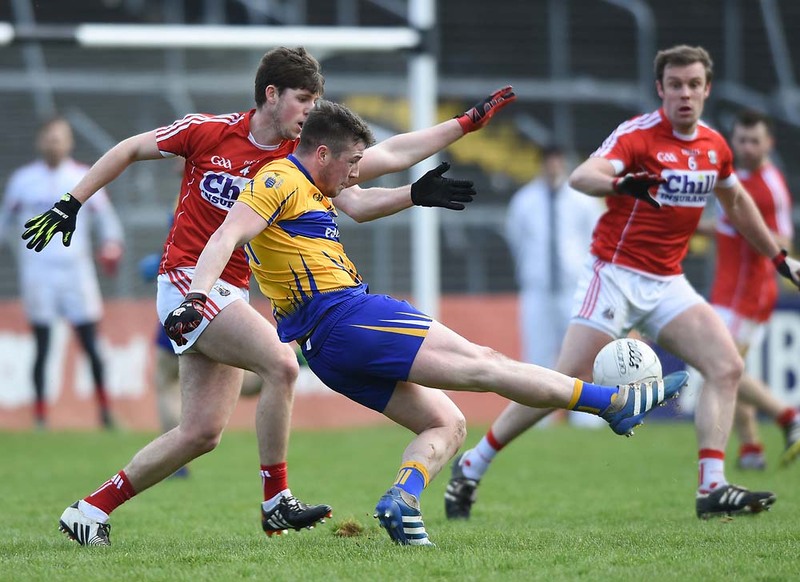 The one-point win by Cratloe has put them into the quarter-finals while Tubber’s involvement in this season’s title race has ended and they must now turn their attentions to the race for the B title. This result has also put paid to Wolfe Tones’ involvement in the title race as a Tubber victory would have led to a three-way play-off between themselves, the ’Tones and Cratloe for a quarter-final spot. Cratloe may have had the favourites’ tag in this game but they struggled to cope with the challenge of a committed Tubber outfit and were fortunate to come out on top. Tubber made their intentions known in the early minutes and raced into a three-point lead with scores from Eamonn Taaffe, Jack Neylon and Blain Earley from a 65. Eight minutes had elapsed before Cathal McInerney opened Cratloe’s account and Damian Browne followed with another point before Tubber had the game’s first goal in the 10 minute. A huge delivery from the impressive Patrick O’Connor was flicked on by his cousin Barry past the advancing Seán Hawes and it gave the North Clare men a four-point lead with just 10 minutes played. Damian Browne (free) and Conor McGath had the margin back to two when the controversial line ball decision came and the resultant goal gave Cratloe the lead for the first time in the game. They went on to lead by three, 1-8 to 1-5, at half time. The winners had the first score of the second half but three in a row from the Tubber men made it clear that they were not going out of this campaign without a fight. The margin was still three -1-12 to 1-9 – by the mid-point of the second half but Cratloe just could not pull clear of their opponents. Tubber had marginally the better of the exchanges in the final quarter and points from brothers Clive and Blain Early had it down to the minimum with 10 minutes to go. When Mark Earley, now operating in attack, hit the leveller five minutes from time, a three-way play-off for a quarter-final spot looked likely. After five scoreless minutes Ogie Murphy put Cratloe back in front when he pointed following a tremendous 50 metre run. They doubled their advantage in the first minute of injury time when Seán Chaplin found the target. Tubber weren’t finished yet and it took a smart save by Sean Hawes in the Cratloe goal to keep them in front. The following 65 was pointed by Blain Earley but it wasn’t enough and Cratloe held on for victory and a place in the quarter-finals. Cratloe: Seán Hawes; Philip Gleeson, Barry Duggan, David Ryan; John O’Gorman, Michael Hawes, Liam Markham; Ogie Murphy, Damian Browne; Seán Collins, Aidan Browne, Seán Chaplin; Cathal McInerney, Conor McGrath, Jonathan Reidy. Subs: Gearóid Ryan for O’Gorman (47 minutes); Pádraig Chaplin for Reidy (50 minutes). Scorers: Damian Browne (0-6), all frees; Cathal McInerney (1-2), Conor McGrath, Seán Chaplin (0-2), each; Liam Markham, Ogie Murphy, (0-1) each. Tubber: Ronan Taaffe; John O’Connor, Conor Clancy, Eoin Ruane; Mark Earley, Conor Earley, Patrick O’Connor; Clive Earley, Ger O’Connor; Kevin Conroy, Jack Neylon, Justin McMahon; Blain Earley, Eamonn Taaffe, Barry O’Connor. Subs: Fergal O’Grady for J O’Connor (half time); Paul Fogarty for J Neylon (half time); Damian Quinn for Conroy (35 minutes).